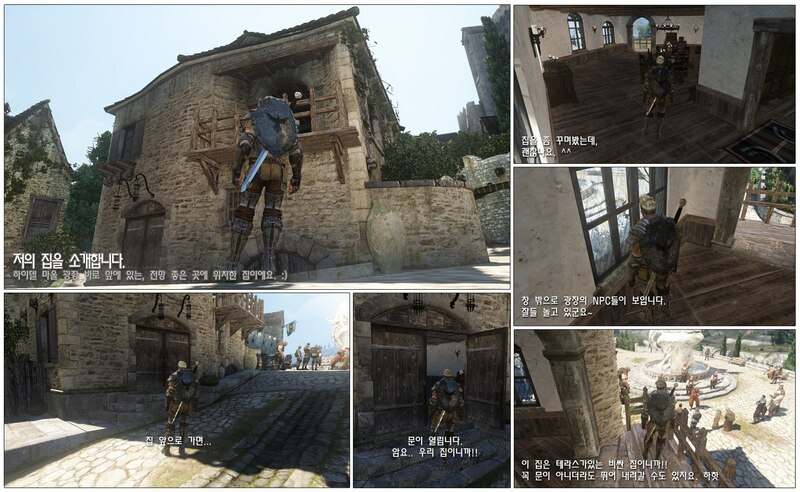 Korean development studio Pearl Abyss has recently revealed its action-oriented sandbox MMORPG, Black Desert. Pearl Abyss was founded by Kim Dae-Il, the director of various Korean MMORPGs such as Continent of the Ninth Seal, Risk Your Life and R2: Reign of Revolution, back in 2010. 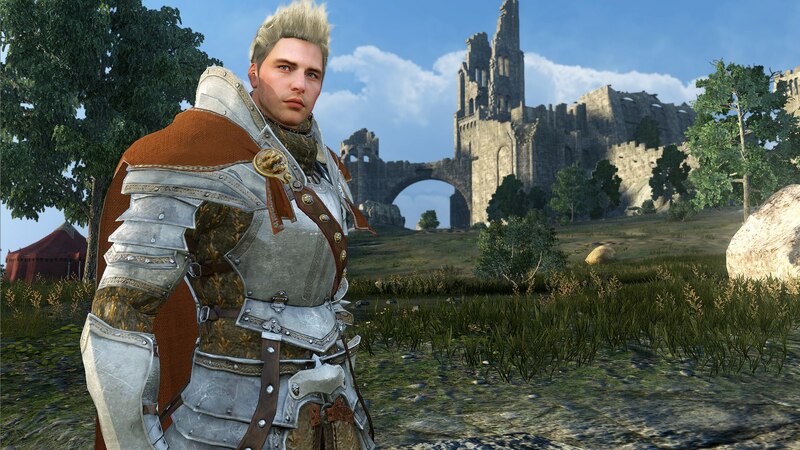 Black Desert is the company’s first project. Nonetheless the level of polish revealed in the preview trailer speaks volumes of the company’s talent. 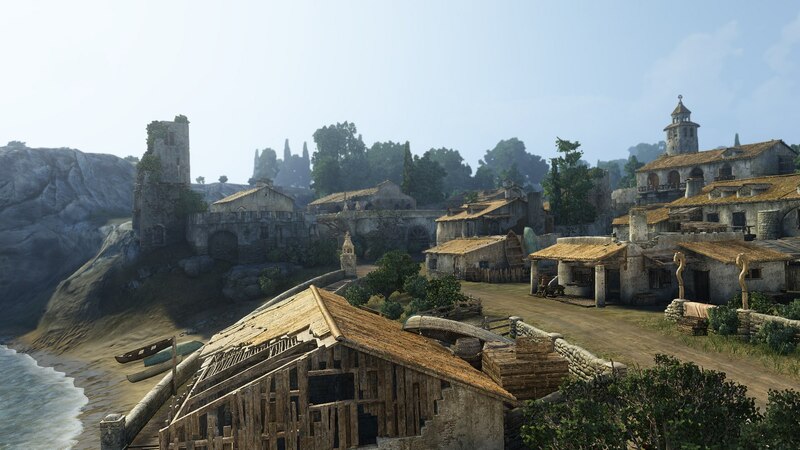 Black Desert is described as a large-scale sandbox MMORPG, with strategic siege battles, action combat, involved NPC/trading mechanics, and even real estate management. 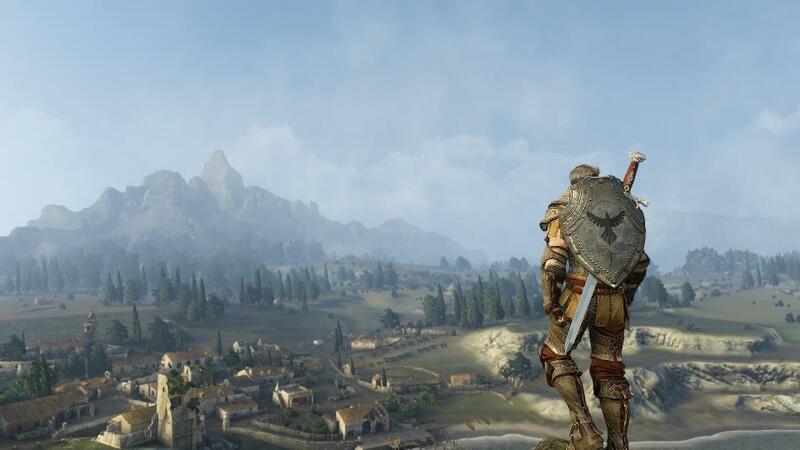 The plot revolves around a conflict between two nations over a precious magical resource within a region known as the Black Desert. 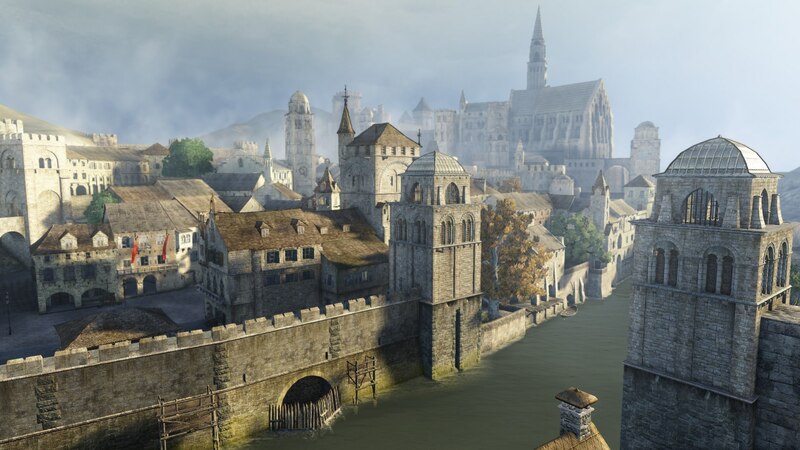 The game world is being designed as a virtually seamless space. The combat teases within the trailer look incredibly promising. The game is action-centric, and it seems that players have complete and direct control over their attacks and defensive/evasive abilities. 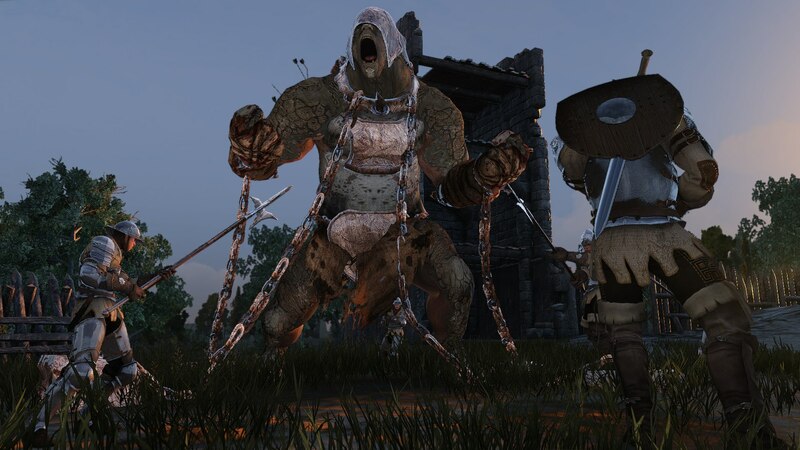 The trailer shows of a sword and shield wielding knight, a bow-wielding sniper, a heavy, axe-wielding berserker, and an acrobatic, spell-flinging sorceress, which we can presume are the current playable classes in-game. Interestingly, the combat is flashy, yet grounded and dare I say, realistic. 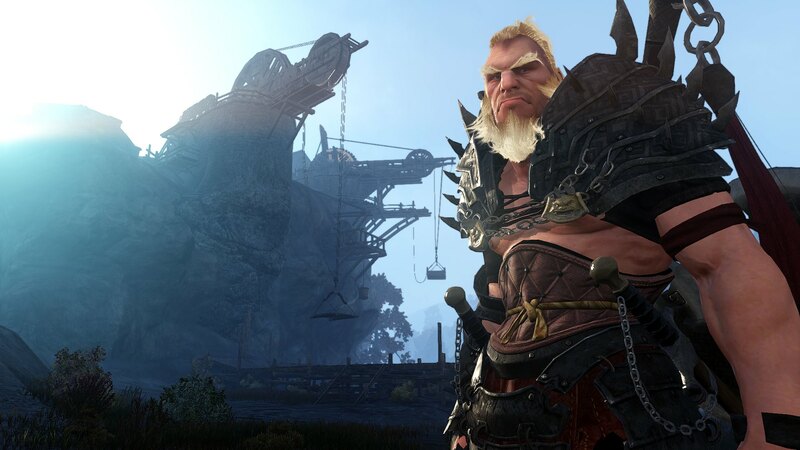 Unlike the flashier, juggle-heavy combat of games like Blade & Soul and Continent of the Ninth Seal, Black Desert‘s combat looks weightier and more succinct. 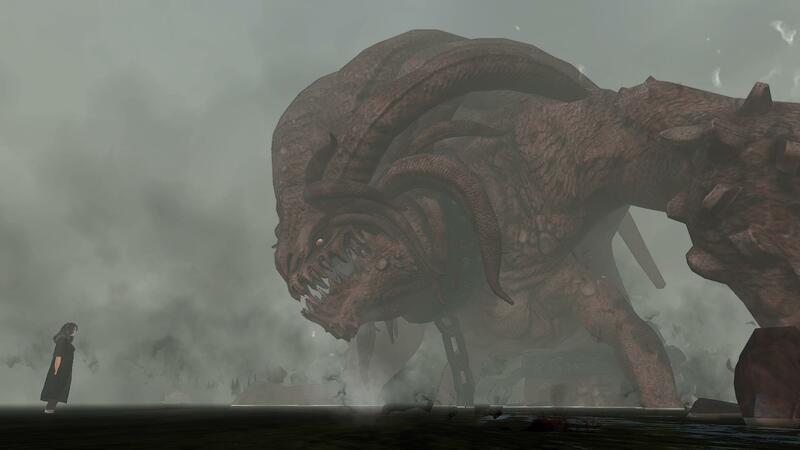 Given the game’s realistic art design, the ground-based combat adds to the overall aesthetic. Mounted combat? In an MMO? Oh God, YES. 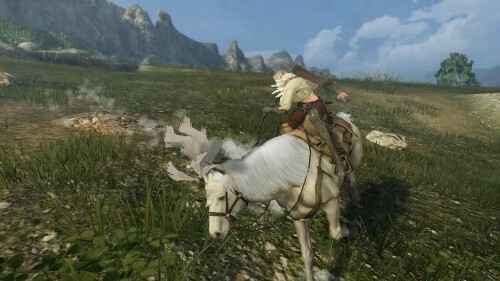 One scene in particular depicts the bow-wielding character sniping a target from horseback. A later scene depicts a knight player being shot off his horse during a siege. Horseback combat is a feature one doesn’t often see in an MMORPG, and will undoubtedly give combat – and PvP – incredible new depth. 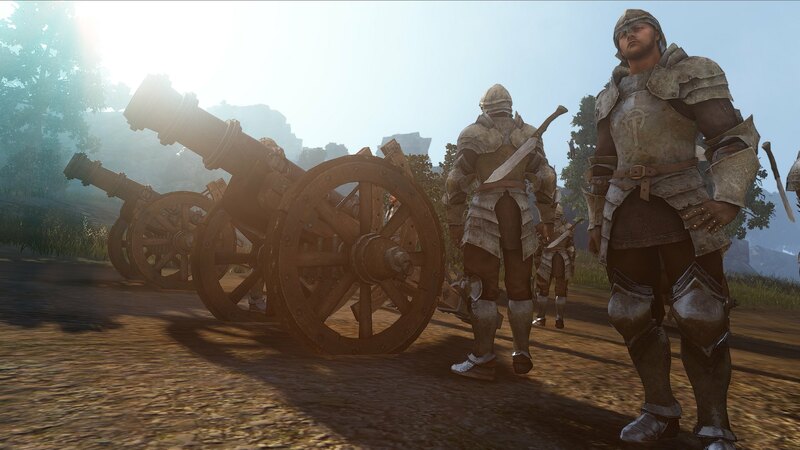 Many of the combat scenes in Black Desert are also siege-focused, complete with war-machines such as cannons, cavalry and elephant-tanks. 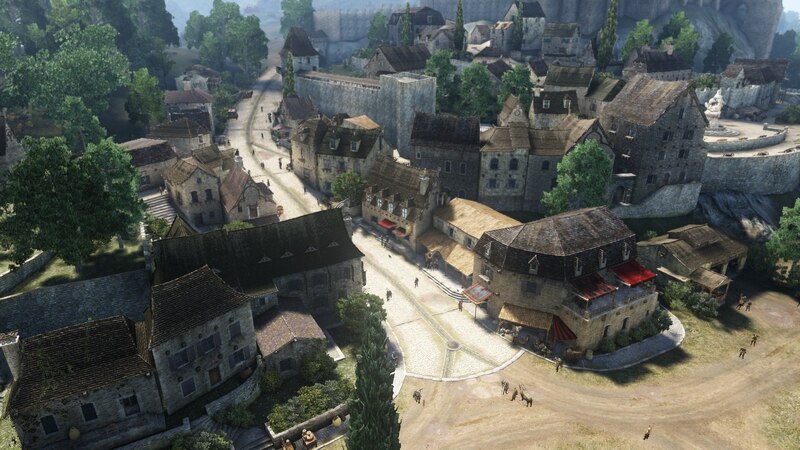 Siege combat, much like the melee combat, is heavily grounded and weighty, and each element in the siege (infantry, cannons, elephants and cavalry) seems to have a unique purpose and function. It will be interesting to see how these elements play out as Pearl Abyss continues to develop the game. 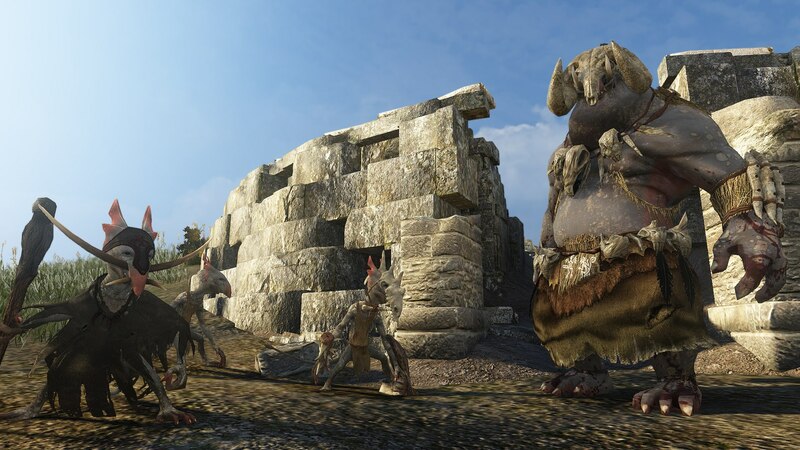 The game’s aesthetic is another unique and fascinating asset. Korean MMORPGs tend to have very distinct, over-the-top anime art styles and character designs. 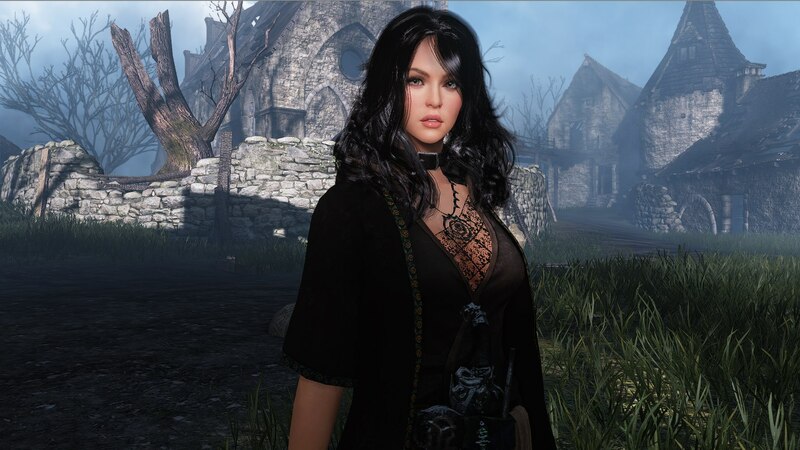 While beautiful, Korean fantasy MMOs rarely embrace realism, which makes Black Desert so surprising to see in action. While the character designs and outfits are a bit more embellished and stylized that your typical western fantasy title, the weaponry, armor and clothing worn by the characters in-game have a practical and photorealistic quality to them. 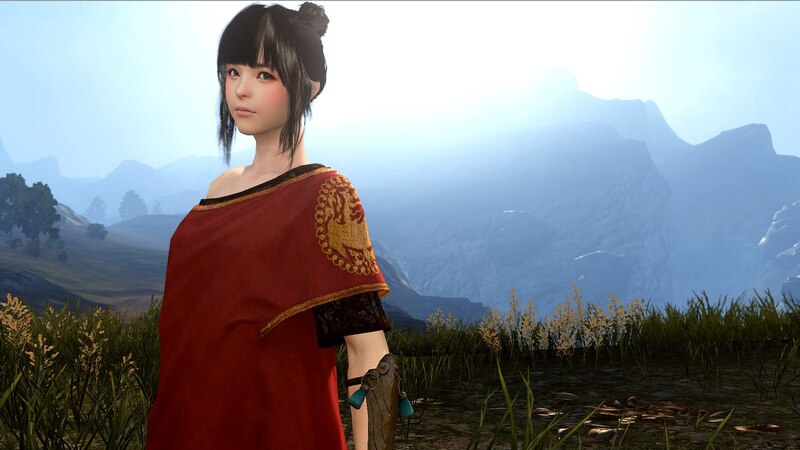 And, despite its realistic designs and seemingly bleak setting, Black Desert still remains colorful and vibrant. 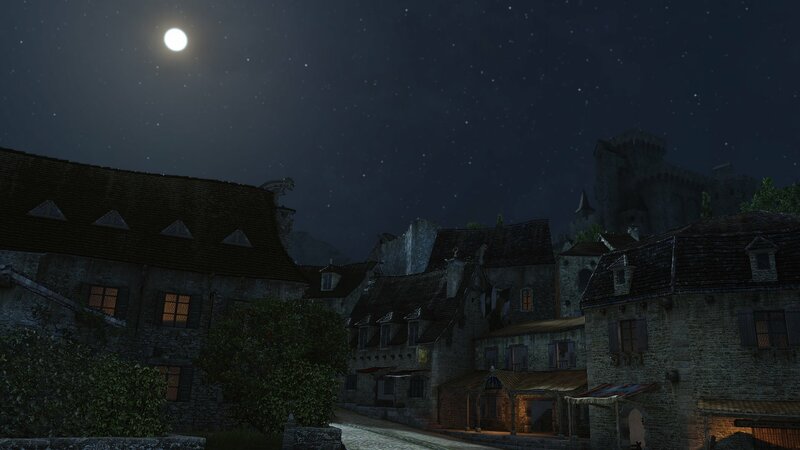 In a screenshot posted recently on Pearl Abyss’ official Facebook page, it was revealed that Black Desert will provided players with a housing/real estate system, whereby they can purchase properties to create their own storehouses, open up a shop or forge, or simply create a place to rest. 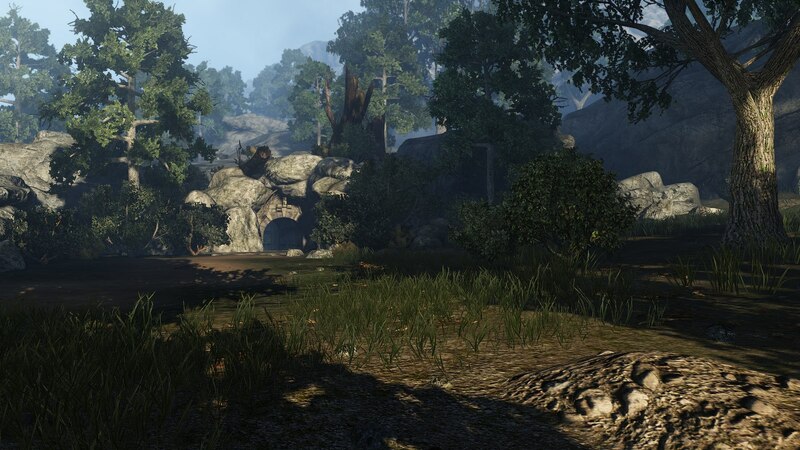 Players can bid for the property they want, and Pearl Abyss claims that all houses in-town or in fields can be purchased. Promising stuff. 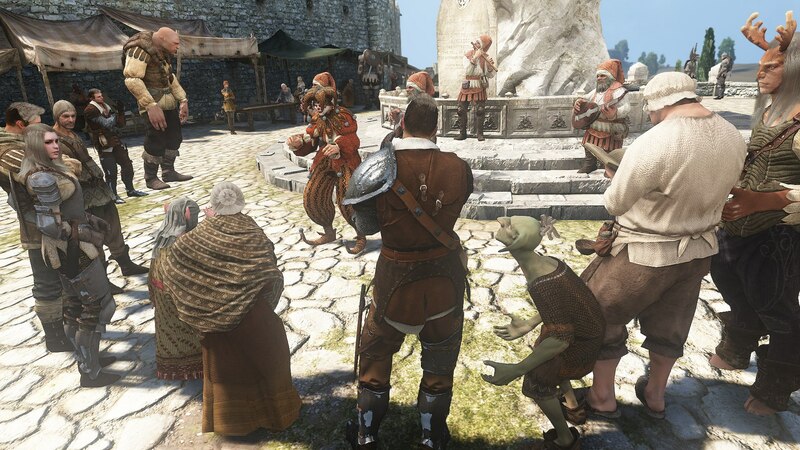 Black Desert is expected to go into its testing phases in 2013. There is no official website at the moment, but players interested in the game can visit Pearl Abyss’ official Facebook page for new screenshots and updates. They've also seen a 400% increase in player activity from returning players and newbies alike.